Get ready, New York City…cause this weekend, book nerds everywhere are TAKING OVER. 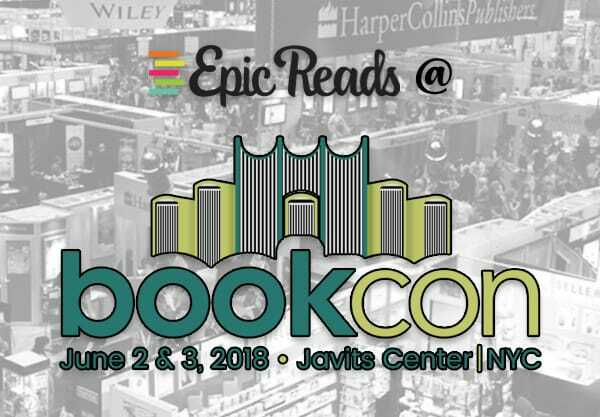 Team Epic Reads will be at BookCon all day on Saturday, June 2nd and Sunday, June 3rd, and we CANNOT wait to see you all. Prepare to do all the book shimmies because there will be author meet-ups, giveaways, and ALL THE YA THINGS. ARC DROPS WILL BE HAPPENING AT 12:00 NOON AND 3:00 PM ON BOTH SATURDAY AND SUNDAY! Not all books will be available at each ARC drop! …you’ll get to chat with your faves and get your books signed in the HarperCollins lounge next to our booth! These events are not ticketed, so make sure to show up and get in line!!! From 1-2PM, you’ll get to meet Angie Thomas, Adam Silvera, Becky Albertalli, Soman Chainani, and Julie Kagawa! From 11-12PM, you’ll get to meet Elizabeth Acevedo, Tiffany D. Jackson, Heidi Heilig, Mackenzi Lee, and Kendare Blake! ….seriously, there are some really great ones this year! Are you heading to BookCon this year? Hit the comments and let us know! Plus, follow us on Twitter (@EpicReads and @EpicReadsEvents) and on Instagram (@EpicReads) for event coverage while we’re there!